That's like getting $329 off. Samsung may be mere days away from unveiling the S10, but it's not the only Galaxy phone in town. 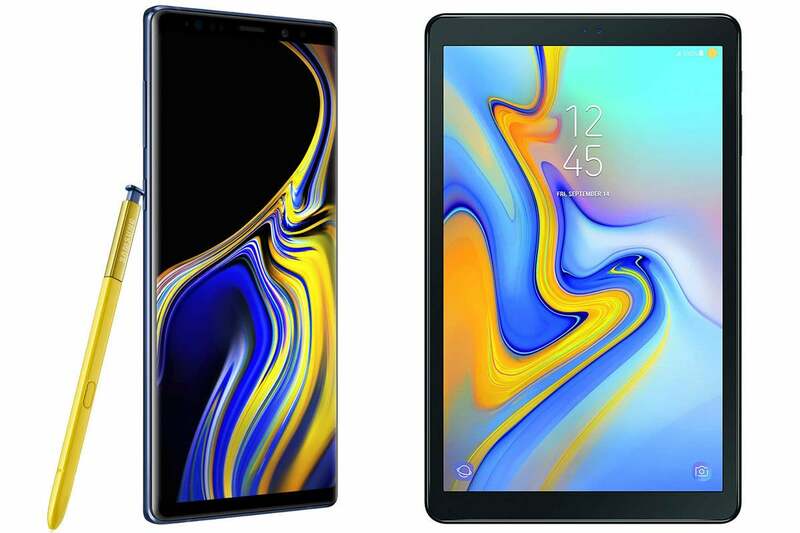 And today you can get a great deal on a bundle: Amazon is selling the 128GB Galaxy Note 9 and 32GB Galaxy Tab A for $1,000Remove non-product link, down from a list price of $1,329 for the pair. If you do the math, you're basically getting the Tab A for free. The Galaxy Note 9 is a top-notch offering for Android users, featuring a large, crisp screen, a built-in headphone jack, and an S Pen that connects via Bluetooth. For easy, personalized unlocking, the back of the phone features a fingerprint sensor. We gave it four stars out of five in our review for its strong performance across the board, solid screen and camera, feature-friendly S Pen, and long-lasting battery. It ships with Android Oreo on board, but the new Android 9 One UI update with gesture navigation will be arriving shortly. The 10.5-inch Galaxy Tab A is a sleek tablet made for convenient use on the go. With a 1920 x 1200 resolution, it's great for watching movies, and its 14.5-hour battery life means you can use it all day without reaching for a charger. It ships with Android Oreo 8.1 on board.